ZF: How many NYE runs have you been a part of with the Disco Biscuits? What was the first one that you attended as a fan? BS: I could be wrong here, but I believe OL did three of their NYE runs: 2007, 2010, and 2011. As far as being a fan, my first show was during a NYE run - 12/29/98 at the Wetlands. That was also the debut of Above The Waves. I was just a young college kid in NYC to see Phish but we were listening to their studio album Uncivilized Area a lot and were very excited to see them do a late night. ZF: So you were one of the lucky fans that witnessed the legendary AKIRA show? Did it surprise you when news got out about the TRON jam? BS: That Akira set is still one of the greatest sets of live music that I have ever experienced. The cool thing about that set was is the re-listen value, as great as it was that night, I believe everybody appreciated it even more when they listened back to it. There are so many interesting themes that the band touched on and the way it builds is next level. It is amazing on multiple levels and I was also already a big fan of the film Akira. As far as Tron goes, I was excited to hear they did that. They had done something similar with Koyaanisquatsi as well. I wish I could have been there to see that set. ZF: You've opened for the Biscuits a number of times as part of Orchard Lounge and as a solo artist, what are 3 sets that stand out in your memory the most? BS: Every single time that I’ve been lucky enough to open for them, whether with OL or solo, has been an honor because I have always respected them. We had some great experiences at places like Red Rocks, Hammerstein Ballroom, and Chicago Theatre with them, and those are giant venues that we never would have been able to play otherwise. However, nothing can ever really top Camp Bisco… and we played 9 of them - every single year was great. The one set that stands out more than anything is by far the year at Camp Bisco that we played during set-break of the Disco Biscuits on the mainstage. We teamed up with Clay Dempsey who is a genius with film and he created a really crazy video mashup of Stanley Kubrick imagery. I am a massive Kubrick fan and 2001: A Space Odyssey is my favorite film of all time so naturally, I loved this. We played from behind a giant screen and did a sort of live scoring of the video as our DJ set. ZF: Outside of those shows, you've thrown down some of your most epic sets in NYC, what is one that has stood the test of time? BS: Since the beginning, NYC (especially Brooklyn has always been so gracious to OL along with when I play solo. Going back to maybe 2004 or so we’ve been playing there and in the later years, it became very regular. We played everything from house parties to warehouse parties, bars to huge clubs. We played rooms like Best Buy Theatre, Webster Hall, and man.... I always have fun playing there and have always had a lot of friends that I enjoy seeing when I’m there. My favorite, somewhat recent, set I’ve played there was at Verboten solo along with Elijah Wood. That was really a great night. ZF: Your first show back after your hiatus was at the first Brooklyn Comes Alive a few years ago. I remember we did that awesome interview on your return. What has changed in your career since then? BS: Yes, that was a really important experience for me personally, it was my first time back to the East Coast for a few years. I was both excited and relieved that I was back there. I remember there being some technical issues, but I had a blast and was just so happy to see everyone. I also really appreciate you doing that interview. A lot has changed since then and I think I’ve grown a lot as a DJ and as a person. I have never been more dedicated to digging for tracks and I get really excited over random pieces of music I find. Even after all of these years, I have never stopped getting excited over this kind of stuff. I don't play as much as I used to but there’s one thing I know for sure, I take everything more seriously and I enjoy it much more. Also, just with life in general, I am very focused on being healthy and I work out religiously. Because of that, everything just seems easier. Everything is connected. ZF: I know that Bethany and Spencer are a lot busier lately as they’re raising their daughter and running a business, but where would you like to see OL throw down in 2018? BS: We had a blast playing a seven-hour set at Smartbar after Lollapalooza a few months ago. We were also in Denver last month. We’ll be back out there on February 2nd at Cervantes, I am really looking forward to that. I always want to play with them and would love to do another big one in New York together in 2018. I would also love to do some festival dates with OL. ZF: I've always looked at you as a music encyclopedia because of your extensive knowledge in a multitude of genres. Who are some newer producers that currently stand out to you? BS: Thank you. I've been listening to a pretty wide range of music lately. I feel like I listen to more rap than anything else. But as far as electronic music goes, I've been back into the sort of weird funky stuff. I definitely get in phases and bounce back and forth with dark and light, but I've always loved the funkier acid-y tracks. I’ve played a lot of those tracks throughout the year, also hitting the more indie-dance/disco-ish/electronic funk type tracks, along with deeper tracks and some old school stuff. Whatever you want to call it, I have fun when trying to keep it funky. There are so many producers I admire and not all are dance music related. Some of my favorite producers who had a great 2017 were Lauer, Max Cooper, Tensnake, Four Tet, Fort Romeau, Palms Trax, Lusine, KiNK...so many! I also think Metro Boomin' is just on fire as far as rap goes. I have been listening to a lot of classical and ambient as well and one artist that I am completely in awe of is Nils Frahm. I found a live set he played at the Montreux Jazz Festival that blows my mind. It is just him onstage along with a piano, synths, and drum machines and it ranges from beautiful classical piano to moody electronic music. ZF: The DJ segue into a jam is something that you and OL helped pioneer. Is there one particular segue that was executed especially well? Would you like to make it happen again during this NYE run? BS: This is something that I’ve always loved to do because all of the bands that have tried it are such great musicians. With a band as talented as The Disco Biscuits, I am always amazed how quickly they pick up on the subtleties of the record that is playing, they’re able to mimic the tones so quickly. For example, Aron Magner is one who can change the settings on his keyboards so quickly to make it sound just like a tone that is playing in the record. Ian McGuire is another keyboard player who is great at doing that. Actually, and this is still pretty hard to believe, but Ian McGuire was eating a White Castle slider while playing, and even with grease all over his hands and food in his mouth, he still was able to find the perfect tone with the one hand not holding a slider. I think that anytime The Disco Biscuits have tried to do a DJ segue with us, it turned out well. Allen is such an awesome drummer that his fills always seem to mesh well with the record that is playing. I would absolutely love to do this again over the NYE run and I am playing during set-break so you never know… I’ve always thought that DJ segues lead to some interesting opening jams. 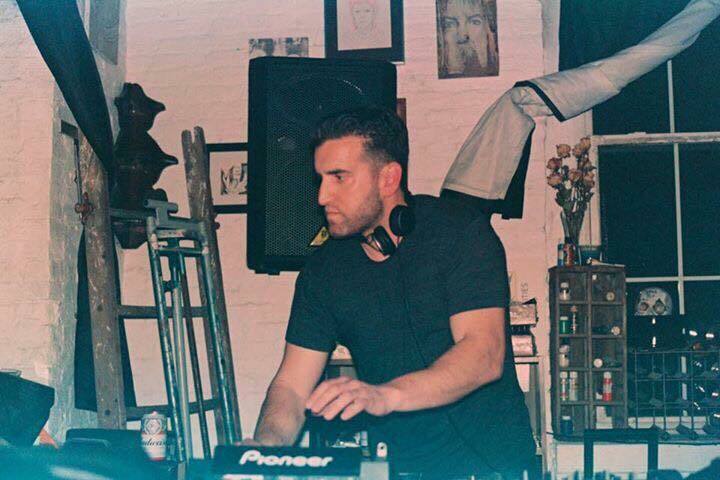 ZF: Where is your favorite place to spin in NYC and why? BS: It’s too hard to pick one spot, so I would say anywhere with a good vibe. I went to an insane warehouse event last year when I was in Brooklyn and got to see unbelievable sets by Shackleton and Scuba. I would kill to be able to play something like that. Brooklyn Mirage has huge events and I also love Output, I'd really love to be able to get on something like that. I've always loved the attitude and vibe in the air when I am in NYC and BKNY, there is nothing in the world like it. I’m also a huge eater and love the late night food options. Is there anything better than a giant corned beef sandwich at Katz's Deli at 5am? I think not. ZF: What made the connection between The Disco Biscuits and Orchard Lounge so special? BS: Well, I was a fan of tDB since I was seeing them play tiny rooms with 30 people. I was influenced by them a lot when I was still young. I also had my own opinions on what I wished I could do differently when it came to the overall show experience. For example, I always hated set-breaks, no matter what band I was seeing. I hated the awkward forty minutes of silence. I also hated hearing music I didn't like after seeing such a great set. I used to think it could be a great time to hear something that fits the mood and adds to the lag between the first and second set. I also have a ridiculous number of friends, all across the country, that I’ve met from seeing The Disco Biscuits. I value their tastes and opinions and really love these people. Even if they don't see a lot of shows anymore and are more into other styles of music, we still have years of (somewhat faded and blurry) memories of great times, all because we were all in the same place, on the same night, witnessing the same event. There is something to be said about that. Our memories are what make us, inspire us, and push us into whatever direction we end up moving towards. Aside from the shows though, we were just people who had certain elements of our musical tastes that were similar, but also had many interests that were different. I don't really listen to much "jam band" type music anymore, but will always love The Disco Biscuits. They are different. The same thing goes with house and techno. There is so much out there I would never listen to, especially with the whole EDM thing. I don't listen to anything like that and also don’t enjoy music that seems overly "clubby”. That being said, when you dig and find a sound that you like, that's where the magic is. I've always thought the records that OL plays, and the ones that I like, aren't the overly popular choices; it’s music that conveys a certain mood and fits the space. I also think the Biscuits create music that is different than the usual jam bands out there. They aren't trying to sound like everyone else. I have a lot of new music I will be releasing on my pages within the next little bit. I am excited about putting up 2 brand new DJ mixes, one of them is actually my first downtempo mix in years and also a super funky house and techno mix.